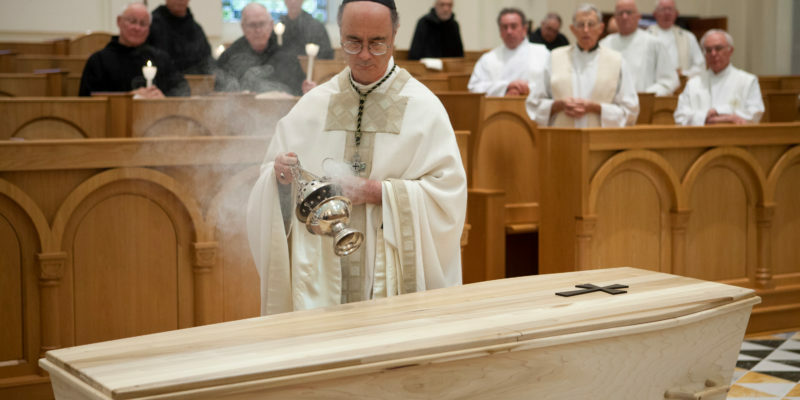 Throughout the liturgy, you hear God’s caring, consoling promises to you. There is the promise of God’s comfort, heard in many of the prayers and in the readings. 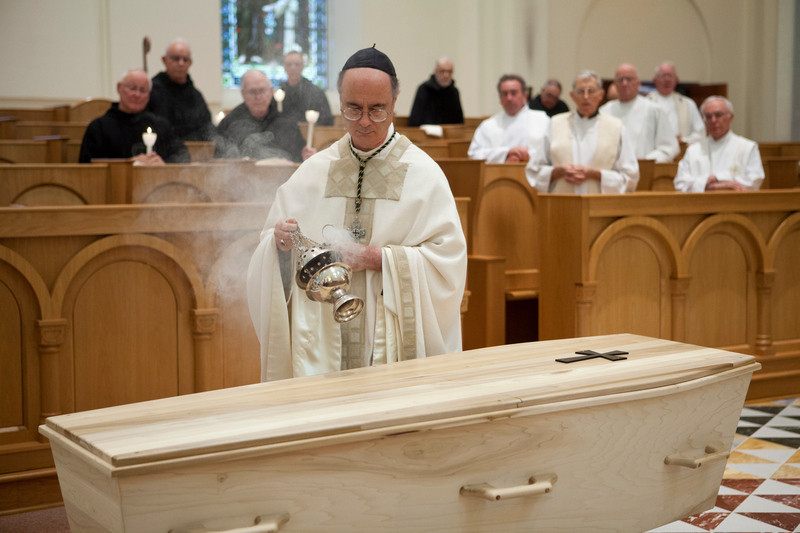 Finally, there is the promise of eternal life, repeated many times throughout the funeral mass. Music chosen for your loved one’s funeral has the capacity to add another dimension of comfort and meaning. You may find yourself struggling in a whirlpool of feelings about God that you haven’t known before. You may rage at God for permitting this death and ignoring your prayers to keep your loved one safe. You may feel as if God betrayed you when you’ve tried to live a good and faithful life. In the worst moments of believing that God has abandoned you, you may be ready to abandon God for being indifferent, useless, or even non-existent. Tell God about your anger, sadness, emptiness, despair. It’s perfectly acceptable to express doubts about God’s faithfulness, love, trustworthiness, purpose. Be creative in your prayer. Sit outside, surrounded by the beauty of the natural world that God has given you, and listen to what God is saying. Let God enter through the brokenness of your heart. Stay open to the possibility that God is beckoning you to a transformed relationship and new life. In the midst of your grief, remember all the past blessings in your life, all that you can be grateful for, and trust that God will continue to bless you in surprising ways. God is not just present in your life, but intimately involved. Your grieving is among the most difficult and the most sacred things you will ever do. Your emptiness and pain, your anguish and despair are doorways to life’s most profound mysteries: suffering and death, the meaning of existence, the love people share, God’s love for humankind. As you grieve, keep your heart open to God. Look for evidence of God’s caring presence in your life. Gradually, often quietly, signs of grace will appear.